Social housing has different specifications in different legislations: it can be organized and subsidized in totality by the government, it can be privatized and publicly subsidized or it can in some cases not even exist entirely. There will be great challenges in the coming years in the way people live. Considering their social objective and long-term responsibility, housing associations can play an important part in this. They want to further strengthen and define their way of “doing business”, with the emphasis being on their own established social objectives and responsibilities, but not without intensive dialogue with society. Housing associations are developing into “housing societies” with a broad package of services geared to the needs and desires of the consumer. It is of vital importance that housing associations are allowed the maneuvering space in their work to take initiatives that will strengthen the social structure. 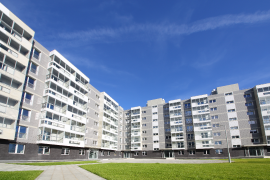 Through a well-balanced system of accreditation and supervision of the policies, the government can assess a housing association’s performance after the fact. How to connect social housing to the territory? How to improve the wealth is some less developed areas? How to collaborate with schools and educational system in order to upgrade the more degraded area? How to promote a Better City for a Better Life? CBE supports this transition with dialogs and strategic plans in the social housing industry. As it proves to be a very peculiar industry, we are proud of being involved in these social issues right from the start of the process and developing lines for a social sustainable growth.